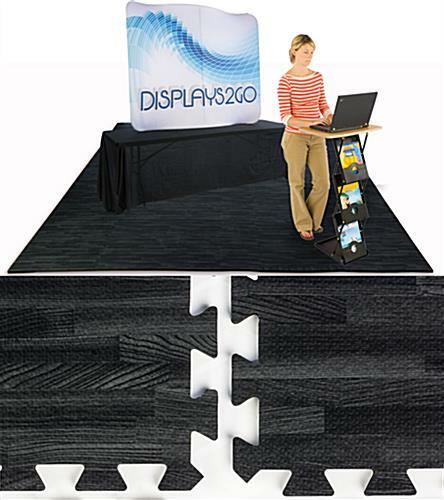 Create an elegant, comfortable and durable trade show experience for your customers and your staff with these black wood grain floor mats. 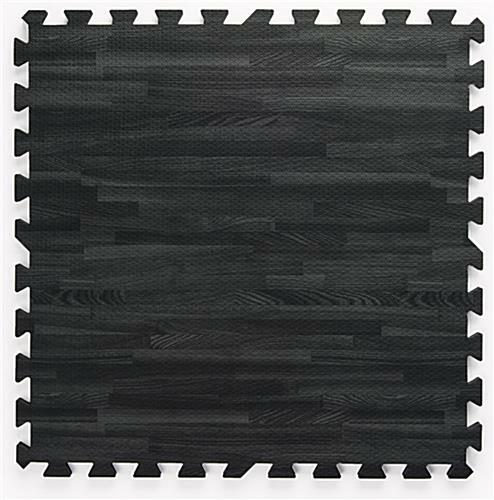 Cheaper and more appealing than tradeshow rental flooring, these cushioned tiles will add an element of comfort and style to any event space! 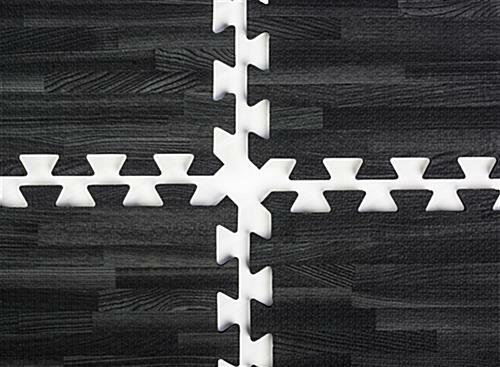 Each set comes with (26) 2’ x 2’ soft EVA interlocking foam pieces that fit together snuggly like a jigsaw puzzle for a 10’ x ’10 flooring area. The aesthetics of these stain resistant, wood grain floor mats are only emphasized by their cushioned comfort. 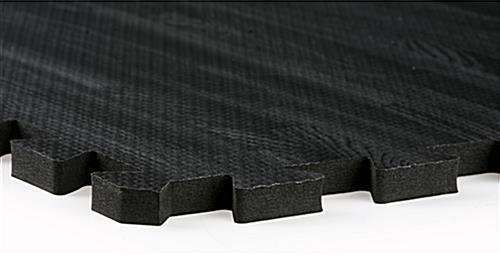 The interlocking foam tiles are lightweight, portable, water, oil & stain resistant and super soft, making it the ideal anti-fatigue flooring. 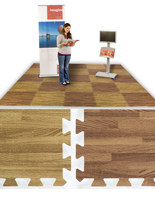 These wood grain floor mats are the perfect addition to any trade show or event flooring. 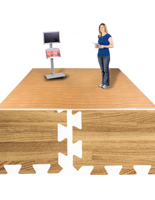 Note: 25 assembled tiles make 10' x 10' area, one extra tile is included. 20 Edge strips are also included to finish the sides. 120.0" x 0.5" x 0.5" x 120.0"
We won't be using these until April. So I gave these 4 stars until we can try them out. If they are anything like the ones I have used at other shows in the past, then these will be great. We hope they work perfectly for you Alicia! Do let us know. We wish you tons of success at your shows! My company does 2 trade shows a year and I was tired of paying exorbitant rates for a carpet and pad rental for what amounts to 36 hours. This floor was approximately half the price of that rental and even if it didn't work, I saved some money for this year. Well as it turns out, the boys loved it! It went together quickly and flawlessly, it was more comfortable on their feet than the carpet and padding, and it was just as simple to disassemble at the end of the show. Everyone is so pleased at what a savings and a good product we got. It looks fantastic, felt fantastic, and was all around perfect for our booth! These photos are awesome, Amy! Thank you so much for sharing your experience with us! 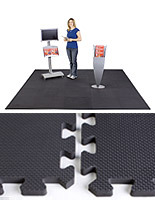 We're so happy that you found these mats to be a comfortable and affordable trade show flooring solution. Many of our customers have told us that these mats are more attractive and easier-to-use than traditional rental carpets, and we're glad that you felt the same way! 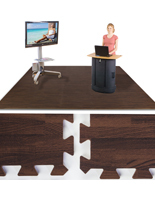 We hope you'll continue to use Displays2go for your trade show needs! This product was better than I had expected. It looks great and we got a lot of positive feedback during the show. It's comfortable on our feet and looks fantastic! 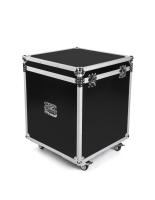 We've only used it once so far but I expect to get a couple more shows out of it, if not more. I highly recommend this product, especially if you're throwing hundreds of dollars away renting carpet at every trade show you attend. 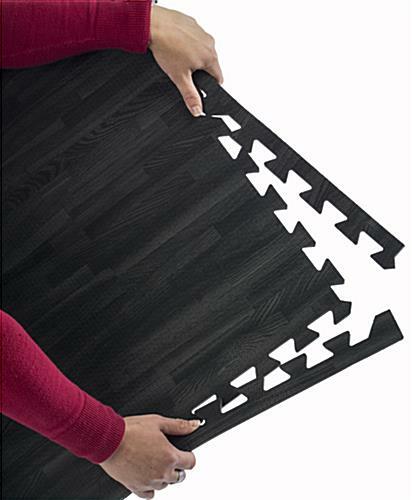 Kelsey, thank you so much for taking the time to recommend our interlocking floor mats! 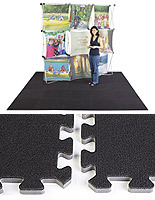 Many of our customers have commented that these mats have made their exhibit much more comfortable, and attract many compliments from other exhibitors and passersby. 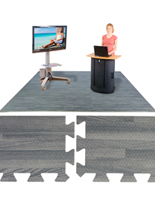 We're glad that you found this to be a better and more affordable flooring solution than renting carpet, and we hope you'll continue to use Displays2go for your trade show needs. Thank you again for the excellent review! Great product! Was much better to stand on for hours on top of a concrete floor in an exhibit hall. It also looked great and was easy to keep clean. 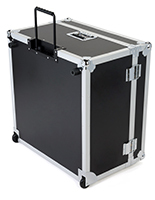 Very light weight and easy to manage locking in the tiles. One thing to be aware of, if there are sharp heel shoes on it, it did leave some more permanent indents, but other wide table legs and chairs did not seem to be permanent indents. We're so glad the floor mats worked so well for the trade show, Joseph! Thanks so much for the helpful review. We hope you shop with us again soon!